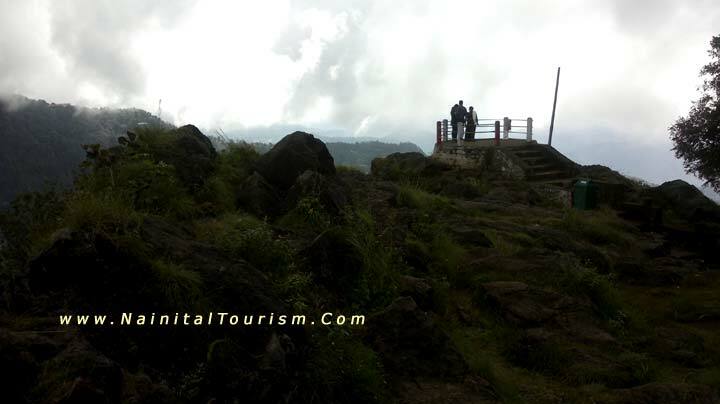 TIFFIN TOP :- 7520 ft (2290 mt) in Ayarpatta region also known as Dorothy's seat - in memory of an English lady Mrs. Kellet Dorothy, who was killed in an air crash build by her husband an admirers after her death. Tiffin Top which meanes "Packed food consumed during the day" so visitors & tourists would trek to Tiffin top with packed lunch's and spend a quiet and peaceful picnic. 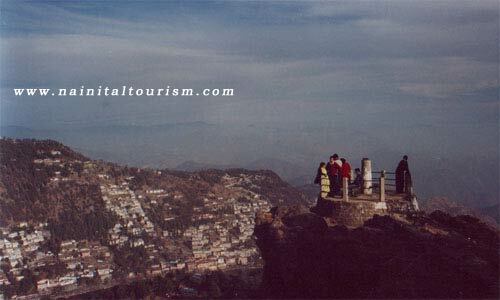 Tiffin top is a short trek of about 4 kms from Nainital and provides excellent view of the Himalayas and the Nainital town. 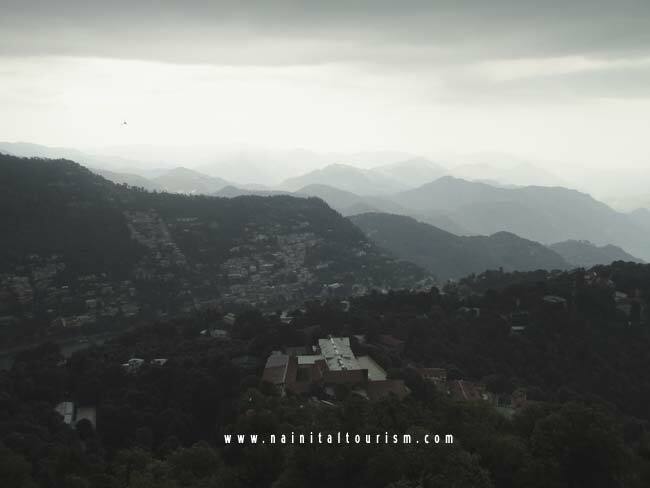 The road to this picnic spot crawls along the rugged hill side swaying this way & that, and than all in one breadth in hushed silence suddenly unfolds a canvas on which nature has painted this beautiful spot. Please Note :- It is to be kept in mind that Tiffin top is meant only for pedestrians. 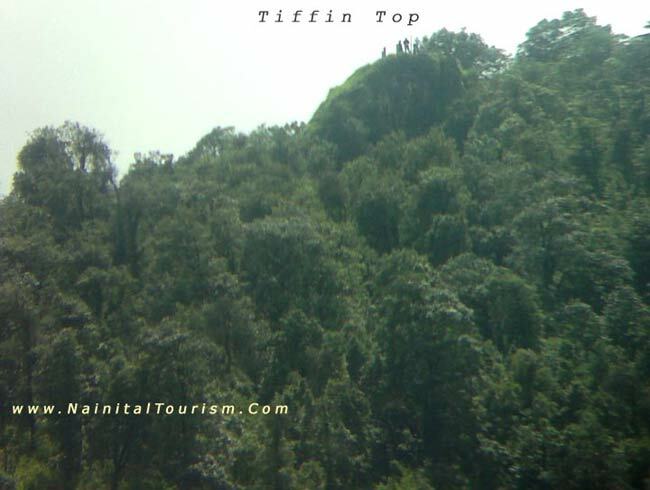 Tiffin Top commands an excellent view of the Himalayas as well as the neighboring country side. Tiffin Top & Lands end can be covered at a stretch as both spots are side by side. 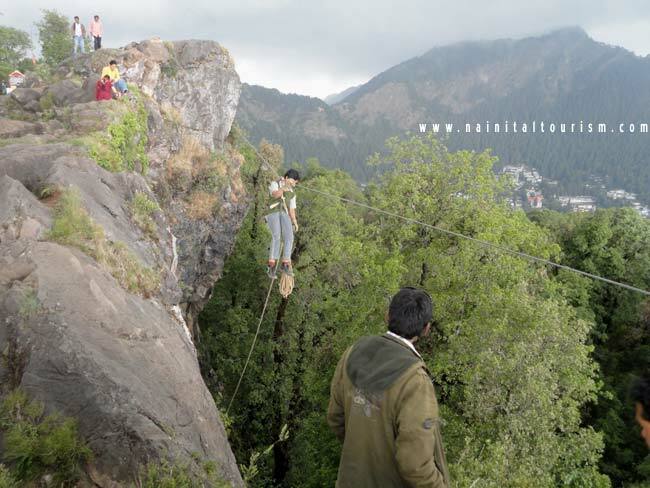 A trip to Tiffin Top brings breath of fresh air and enjoyment of the scenic beauty. 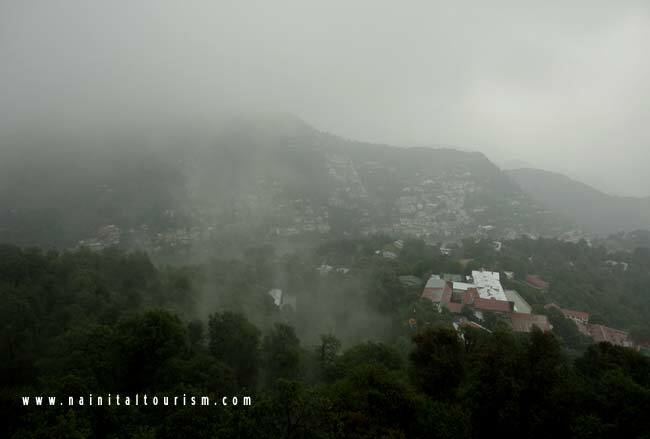 This hill top is a perfect spot for aspiring photographers as they can capture the picturesque view of the countryside.